This trip is strictly for women who want to relax actively. Favourite activities and location for this is the Kenai Peninsula located in south central Alaska. On this holiday, you can spot, venture into grizzly bear territory and watch wild bears. You could also do some whale watching, cruise through the sparkling blue glaciers, visit the Kenai Fjords National Park, discover breathtaking mountain meadows and hike in the Alaskan wilderness. Nothing quite beats being so close to the bears. That is surely bound to get your adrenaline flowing. This holiday is bound to provide you with both the rest you need and reenergize you. 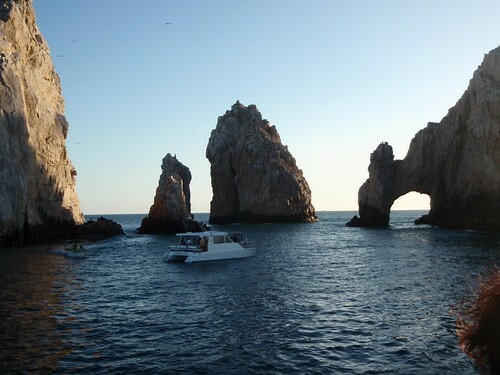 Mexico’s Baja peninsula offers an amazing array of activities for women who want to just enjoy themselves and have a lot of fun on their holidays. Some activities you could partake in there include snorkelling, sea swimming, sea kayakingand whale watching. In fact, women who have gone on these vacations have been known to spot the California Grey Whales. This holiday is best done in the winter as you’ll stand a better chance of seeing the whales because of their migratory patterns. Okay, not all of France. If you can however, that’s cool. If not, this particular holiday involves hiking the Camino de Santiago Pilgrimage Trail in France. Known in english as the Way of St. James, walking this route not only keeps you fit and strong, it also allows for solitude and introspection. So, not only are you gaining physical benefits, but also spiritual and mental benefits. Hiking typically begins in the town of Le Puy en Velay. During the walk, you can also get to visit one of the most beautiful places in France, the Midi-Pyrenees regions, climb high plateaus, see the Knights Templar Grange of Le Sauvage and enjoy the hilltop views of villages and valleys. The Caribbeans aren’t meant for just lazing around the beaches and sipping martinis. It’s also for those want an active adventure holiday. It offers cave expeditions, scuba diving, coral reef exploration, sea swimming, trail hiking, running, snorkelling, horseback riding and sailing activities for just women. You can choose to do some or all of them. And if you prefer extreme activities, there’s more than enough to go round. So, it all depends on you. That combined with the friendly locals and amazing views, scenery and landscape makes for a highly satisfying vacation. Guest Author : Sam Jones is the author of this article and has seen a rise in the number of women prepared to take off on a solo adventure holiday. For women thinking of going back packing, he recommends this post with some very sensible travel tips and safety suggestions.